It would be an understatement to say that Italian combo Caelestis has undergone a steep evolution over the years. 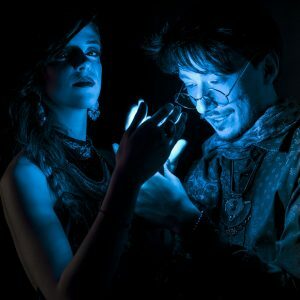 They dabbled in tranquil ambient/lounge, gothic-tinged alternative rock, shoegaze and dreamy post-rock and now the circle is complete as they return to their chilled out beginnings. “Sutra” is a four-part conceptual EP exploring the sacred words of the Lotus Sutra. It’s everything that “Telesthesia” hinted at but explored to much greater depth. For the most part “Sutra” abandons what little rock elements remained in Caelestis’ music. In its stead is a more pronounced and befitting world music - and New Age component. As far back as “Heliocardio” Caelestis has always explored universal themes as cosmic unity and love and “Sutra” now puts an Eastern spin on things. The inspiration for “Sutra” is, as the title would suggest, the Lotus Sutra (or the "Sūtra on the White Lotus of the Sublime Dharma”), one of the most influential Mahāyāna sutras that served as the basis for Mahāyāna and Tendai Buddhism. The four tracks each represent a part of the mantra Namu Myōhō Renge Kyō, that in the practice of shōdai or prolonged chanting is used to reduce negative karma and karmic punishments from lifetimes past and present with the goal to attain perfect and complete awakening. Caelestis, who under normal circumstances sing and write in their native Italian, this time around decided to meet their audience halfway. For the first time frontwoman Vera Clinco not only wrote her own lyrics for each song, now they are also in English. At long last Caelestis has managed to overcome the one barrier that has always kept them from reaching a wider audience. 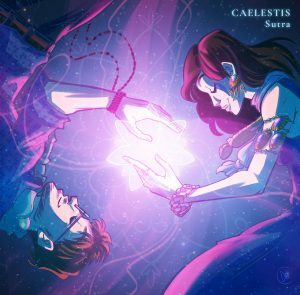 Hopefully “Sutra” will inspire the Caelestis duo to continue in English. Central to “Sutra” is the tank drum played by Cataldo Cappiello and Caelestis forgoes most traditional percussion in the process. “Sutra” is all about compositional minimalism and instrumental efficiency. Keyboards, piano, guitars and drums all appear in limited capacity and their role is purely supportive. “Sutra” is built upon a foundation of Clinco’s alluring vocals and Cappiello’s instrumentation. Caelestis always had a penchant for creating an enveloping dream-like atmosphere and on "Sutra" said warm blanket-like component is ubiquitous. The trilogy of ‘Nam’, ‘Myoho’ and ‘Renge’ is the strongest, both compositionally and atmospherically, that Caelestis has ever sounded. The brief Arabic chanting in ‘Renge’ especially sounds promising should Cappiello ever feel the need to explore that side of their ambient/world music sound. ‘Kyo’, not necessarily to its detriment, is the most standard sounding of the bunch. Caelestis has always radiated with positivity and warmth but it never was the focus of their music. “Sutra” changes this by making it the EP’s entire raison d'être. While Cataldo never has stopped growing as a musician and songwriter, Vera has perhaps changed the most of all. From her studio guest appearance on ‘Dove La Luce’ from 2012’s “Nel Suo Perduto Nimbo” to her mousy, unsure and somewhat awkward performance on “Heliocardio” to the transitional “Spyglass” single or more recently with “Telesthesia” la Clinco is by far the most celebrated (and celebratory) aspect of Caelestis as a unit. On “Sutra” Clinco it seems is finally unlocking and fully embracing the potential we always knew she had – and does it ever show. What a truly remarkable and emotive voice this ravenhaired, wide-eyed, leggy songstress has. The direction on “Sutra” isn’t new per se as such as it was already hinted at in 2016 and 2017 when the duo released music videos for transitional pieces ‘Agape’ and ‘Le Mie Ossa Sono Onde’. That doesn’t change the fact that “Sutra” is one of the most accomplished and engrossing pieces of music the duo has written thus far. For all intents and purposes “Sutra” as an EP offers the complete experience. Buddhism and Eastern spirituality have been the backbone for Caelestis for a number of years now, although this is the first time they base an entire recording around it. Asian mythology and folklore has a wealth of interesting figures, stories and deities which they can use as an inspiration. The inclusion of one or more ethnic instruments as the guzheng, pipa (the Chinese lute), guqin, erhu or bamboo flute would further increase the deeply peaceful and relaxing nature of Caelestis' already dreamy, uplifting and meditative sound. Especially coupled with the deeply emotive kind of wordless, mantra-like chants and vocalizations that Clinco would probably excel at. "Sutra" has opened a world of possibilities wherein Caelestis can take its music. Hopefully the Asian aspect will be explored further as it fits their overall concept, outlook and philosophy. Cappiello and Clinco would be doing themselves a disservice at least not contemplating the possibilities now present. That Clinco has served as a muse to Cappiello has become increasingly apparent in recent years. She initially debuted as guest vocalist on an earlier recording but took up the mantle as frontwoman for the "Heliocardio" EP. Since then la Clinco has become more of an intrinsic part of Caelestis, both vocally and creatively. 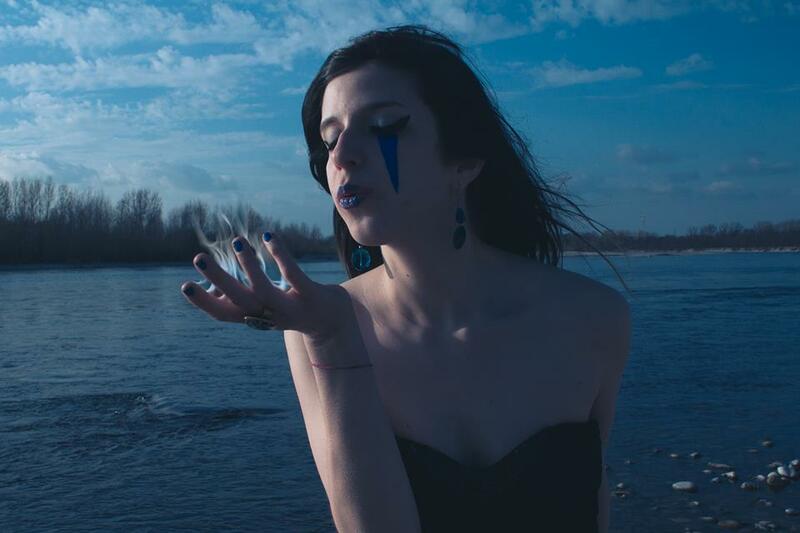 Vera had already been involved creatively in the years prior, writing her own melodies and generally as an inspiration, and now "Sutra" sees her induction as a songwriter. The vocal melodies are stronger than they were in the past and the deeper Clinco involves herself in the writing, the more engrossing and elaborate these might grow on future recordings. As a starting point for their collaboration "Sutra" has more than enough avenues in which it can be further explored. Vera's silky vocals are at their best when they are put to smooth ambient songs. Clinco soars when her pipes are supported by a likewise dreamy tapestry of sounds. Caelestis has never been afraid to experiment and evolve – and at long last they have found a functional equilibrium between instrumentation and composition, now perfectly in sync. Instead of adding to their sound the duo has subtracted to great and positively intoxicating effect. “Sutra” does more with less and Cappiello’s songs have never been more tranquil and soothing than they are now. Likewise, and not any less important, has Clinco almost literally found a vocal style that she’s obviously comfortable with. The little, innocent-looking, and unconfident girl that danced in the woods in the ‘Io E Te Siamo La Luna’ music video has, much like a caterpillar turning into a beautiful butterfly, grown into a fiercely intelligent and stunningly talented young woman in a scant few short years. The greatest reward of any record is the element of discovery. In case of Caelestis and “Sutra” it is rediscovery rather than discovery as Clinco and Cappiello always were brimming with potential. “Sutra”, if anything else, evinces that the two are now perhaps at the strongest they have ever been. For that reason “Sutra” is a true revelation.